Breeder's home pages and advertisments in dog magazines are full of promises, most of it designed to trap you just as soon as you develop a bond with your new companion. Since these traps work on your own emotions, it is within your means to stay out of them, simply by reading and interpreting the ads logically. Following are some of the real easy to recognize, most blatant indicators of someone using puppies or dogs as merchandise, to be handled, shipped, traded or exchanged for money like pieces of wood or metal, or life meat, fresh from your out of state puppy mill. Important note: The following tips and guidelines are NOT specific to German Shepherds, but almost all can be applied to all breeds of dogs and to all puppy/dog advertising in any media, in any language.The three main types of advertised "qualities": show, working, pet. Show quality. Usually the most expensive, show quality is of value only to those already familiar with the show ring and intending to show the dog, be it for profit, as a status symbol, or to show it off as a priced possession. If your idea of a companion dog is a reasonably well behaved house pet that's also good with children and barks at strangers, you can save yourself a lot of money and grief, not only in the acquisition, but MUCH more so later, throughout the dog's life, on vet bills, food supplements, and other maintenance costs, by staying away from show quality. Show quality dogs are specially bred to conform to a written standard that specifies certain conformation features (looks) they must possess to have at least "some" chance of winning anything in a show ring. There is little or no "room to maneuver" for show breeders, to be concerned with anything else but looks, which may be the main reason why so many show dogs have such a variety of health problems, a lot more than normal dogs. German Shepherds are generally accepted as being the world's most versatile and intelligent breed, except in north America, where sloping backs and over-angulated legs are the signs of an unnatural and crippling structure with many health problems. A small group of a few hundred AKC/CKC style show-GSD fanatics has taken show dog breeding to new heights, causing the animals they claim to love a lot of pain and suffering, all for the sake of a lousy ribbon and a lot of selfishness. Those "extreme show" GSDs are nothing but a liability and major financial drain on the novice owner. Working quality. This term used to refer to police service dogs and guide dogs for the blind, etc., but now relates more to dogs bred specifically for training purposes and Schutzhund competitions (trials). They can cost almost as much as a show quality dog, but are generally very trainable and healthier than show dogs. Unfortunately, some breeders have taken this end of the breeding scale to it's own extreme, called the "Sport" of training, be it under the name of Schutzhund, Ring Sport, or whatever. Those super "high drive" sporting dogs are always under tension, on the go, edgy, ready to jump at anything, or tear apart something. And those super "hard" sporting dogs are typically rather indifferent to their surroundings and almost impossible to train except with a 2x4 or electronic shock collar. Both types of extreme sporting dogs are intended to be used like a foot ball, for personal satisfaction, egomaniac goals, or financial gains. They are virtually impossible to keep inside a house and are condemned to living their entire lives in solitary confinement in a kennel or small fenced-in area, without contact to humans or other dogs, except for a few minutes of training once in a while, when they get to wear the electronic shock collar. The typical sport fanatic doesn't appear to give a damn about the dog as a living being, just like the breeder that puts into being a type of dog that is imprisoned by it's own mind from birth till death. Fortunately, many working dog breeders do breed normal/average working dogs that are easy to train and make excellent pets, companions, protection dogs, and home watch dogs that get along with children and some times even with cats and rabbits. Your chances of finding a healthy companion dog among working bloodlines is at least 10 times better than finding one among north American show bloodlines. Pet quality is a term often used to describe lower quality, "unfit" to qualify for either of the two above extremes, and therefore less valuable and available at a lower price. However, simple logic would suggest that this is where by far the greatest number of "real and true" companions, protectors, watch dogs, helper dogs, house dogs and millions of children's pets can be found, and where any novice can safely concentrate their search for a future companion. (By the way, if you're not a novice, why are you reading this section?) What may be pet quality for a show or sport nut, more often than not will turn into THE PERFECT companion dog simply by the quality of the relationship between dog and owner (my dog Shep being THE PERFECT example), and DESPITE any kind of a label stuck on a puppy or dog by someone with a weird value system based on show ribbons, title scores, or greed. Disposition or "Temperament" is a such a big subject on it's own, that it needs to be discussed separately in great detail. Back yard breeder is a term used most often by breeders to put down, discredit or smear another breeder, and by humane societies to put down all breeders with a single word in one fell swoop. The fact is, some of the world's best breeders actually are, or could and would be called back yard breeders by most humane society officials (i.e. "Busecker Schloß", "Lahntal", "Maineiche", "Hirschel", etc.). The only notable difference; breeders located in Germany are under very strict SV control and receive excellent support, breeders in north America under AKC/CKC rules receive no support and are not controlled at all, which, if anything, is further prove that it is perfectly safe to discard the term "back yard breeder" as meaningless propaganda. Purebred or mixed breed? The only "big" difference is the price. Beyond that, nature had a lot more influence on the making and the quality of a dog than any human could possible have, with-, or with-out registration papers. There is, however, a good reason to stick with a so called "purebred" dog, if you can find an honest and diligent breeder. A "good" breeder will have done as much screening and selecting as is humanly possible, to get "some" predictability into his/her puppies, and to eliminate as many health problems as possible. Therefore, the price you pay is not so much for the puppy/dog, and certainly NOT for any papers, but almost entirely for the breeder's honesty and diligence, for without it, you are better off with a mixed breed from a dog pound. Registration papers (pedigree's). The typical north American registries (AKC, CKC, etc.) all have only two (2) breed rules: 1) both parents must be registered, and 2) the fee must be paid first. (that's it, no other rules.) and are therefore worthless and without international recognition. The way the north American registry system is set up, it actually penalizes honest breeders and encourages puppy mills (I know this out of experience. I been there, suffered under it.). However, there still are several registries in America, with very good breed rules, (USA being the one for German Shepherds) but they are getting harder to find, because the AKC is squashing them, one after another (to kill the competition, it's good for business). A microchip number is a sign of a conscientious breeder. Even though microchiping is not required by the AKC (it is in Canada) any breeder not microchiping his/her puppies is a sure sign of advanced irresponsibility and a "don't give a damn" attitude. I wouldn't touch a puppy without a microchip number Period. King, Shiloh, White and AKC-style Show Shepherds are not German Shepherd Dogs, but are separate, purely north American sideline breeds, not recognized internationally by dog organizations such as the FCI or WUSV. They are considered worthless rejects by the SV and WUSV and can only be registered with internationally unrecognizednorth American registries. Small classified ads are intended to establish an initial contact on a shoestring budget. They should be checked-out first. Large display ads and "breeder's home pages" should be scrutinized very carefully. More pictures than text usually indicate a show breeder with nothing to say about health, temperament, pedigrees, titles, qualifications, background, guarantee, etc. Puppy pictures in ads are meaningless and intended to play on your emotions. Puppies always look cute, but their picture does not say anything about their health or final appearance, as pictures of their parents may well do. Photo-montages and professionally touched-up pictures tell of a professional sales approach often used by large kennels (puppy mills). A home made picture of a sire or dam (or both) to show their conformation is the accepted standard of most honest breeders. Accepting credit cards. The overwhelming majority of dogs being euphemized in dog pounds and at humane societies all over the world are the direct result of impulse buying, which is greatly facilitated by the use of credit cards. Breeders discouraging the sale of puppies in pet stores is great, but to then turn around and offer credit cards like a pet store, just shows the "snake oil salesmen mentality" of some breeders. How two-faced can breeders get? Any breeder accepting credit cards is in it only for the money, is running a puppy mill. A written Guarantee always looks good on paper (in ads and web pages), but when it comes time to return your pet before you can get a replacement under the guarantee, reality will hit you. Exceptional, correct, properly, nice, are a few examples of expressions that always impress, but hardly ever say anything definite and maybe indicating "slick" advertising, reminding me of used-car and snake-oil salesmen. Club membership (AKC, GSDCA, CKC, SV, USA,...) in one or two dog clubs can indicate a breeders preference, such as GSDCA, AKC, CKC, UKC = Am-bred show -, or USA, SchH-USA, SV = imported bloodlines. However, membership in a great number of clubs is almost always meaningless, since anybody anywhere can become a member, without having to qualify, simply by paying a membership fee. By the way, membership in the WUSV and FCI is possible only for clubs, individuals claiming such membership are lying (However, they may own dogs with WUSV & FCI recognised papers). Breeding or selling multiple breeds. The amount of energy and effort needed to really get to know a single breed in all it's intricacies is so overwhelming that it is practically impossible for one person to become a master of more than one breed. Anyone breeding or selling more than one breed is in it only for the money, is running a puppy mill. Shipping puppies anywhere. Any conscientious breeder not only needs to personally pre-screen potential buyers to assure that the puppy goes to the right home, but also likes to maintain as close a contact with his/her "babies" as possible, wants to be able to see them now and then, needs to see how they develop as they mature, generally has a desire to assure their well being throughout their lives by continuing to give advise. (see also "Conformation and temperament" and "Dogs don't lie, only people do" below) Only professional puppy mill operators that don't give a damn about their "products" will ship worldwide. 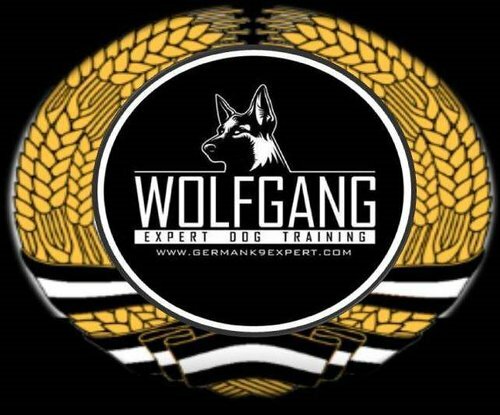 Shipping "worldwide" Most GSD lovers around the globe not only are aware of the difference in the "German show and working" bloodlines, many even know of American puppy mills and the immense health problems the typical American bred shepherd has. Who in the world would want to have one of those north American slope-back cripples shipped to their country? (except the odd A-C White Shepherd fancier). Large facility, producing more than 5 litters per year have to be considered puppy mills, simply because it can no longer be a hobby at that level. Your best chance of finding a quality puppy is at a true hobby breeder that doesn't count the time and expenses, but does it all for the love of the breed. Any other reason for producing more than 5 litters per year is just an excuse to make money. Rare colors: blue, silver, chocolate, white, is always a sure indication of a rip-off artist trying to make a fool out of you. Blue and chocolate are outside the breed standard and therefore worthless "rejects", silver (and white in combination with another color) are simply the undesirable paled versions of normal colors, indicating a serious lack of pigmentation, and again, are worthless rejects. Extra large or huge can mean hip problems and missing undercoat, and usually come with many of the typical show dog problems, because the breeder tends to concentrate more on size than on overall health. Longhair (sometimes called "Altdeutsch") are part of the GSD heritage and can pop-up in any litter. They do so mostly in show bloodlines and are automatically disqualified from showing and further breeding under international rules, and are therefore perfect pet quality. Some longhair do not have the undercoat required by the GSD standard for having a "weatherproof" coat. Plush coated is somewhere between longhair and normal and can be used for breeding, but may well produce longhaired puppies. Combining the best of: this is always a sign of someone trying to please everybody, pretending to have accomplished the impossible. You can only have one priority, especially in the rather complex world of breeding. To claim to have more than one priority is the same as climbing two mountains at the same time. Give me a break. Breeding is in many ways like mountain climbing, it take extreme efforts, skills, meticulous planning, and is dangerous in that you can plunge emotionally just as deep. combining "companion, protection and show qualities" may be possible, but 99 out 100 times is just another "one size fits all" breeder trying to please everybody to quickly find a home, any home, for all those puppies. The differences between show and working bloodlines is usually so great that combining the two can cause very serious temperament and possibly health problems. Only VERY experienced breeders with a very deep understanding of ALL show AND protection bloodlines can hope to be successful. Even I never made it into that elite group. combining "show and working (sport) bloodlines" is possible only IF they are from the same registry. Combining the two more often than not will produce undesirable temperament and conformation, and is usually the result of breeder ignorance. A knowledgeable breeder knows that his/her puppies can be successful only in show ring OR in trials, but not in both, and will select their bloodlines accordingly. Combining the two WILL eliminate most chances of raising a top winner in either, show as well as sport (Schutzhund) working trial. Imported GSDs (or bloodlines) are no guarantee for quality, but they usually are well above your average American "bred for the AKC show ring" type GSD in health and temperament, provided they actually are imported and have FCI recognized papers and valid hip certificates. Don't take anybodies word for it, you can check out the validity of those import papers. Czech imports appear to be a current fad. While the Czech registries are members in the FCI, it is another former east block country and well known for registry irregularities (cheating). But the main reason for seeing so many Czech imports simply is their low price, usually 30 to 50 % below German export prices. Border Patrol, Tactical K-9 Soldiers, gun/narcotics trained guardian are unsubstantiated claims by civilians, intended to demonstrate exceptional hardness, in the hope of trapping police departments and anyone in need of a personal protection dog. By far the best protection you can receive from a dog is through a solid and reliable relationship with a level headed, easy to train dog, but not from a dog so "hard" that it takes a 2by4 to control it. Not all SchH titled dogs are working bloodlines. The difference is difficult to explain and requires several pages of information. Breeder of police dogs is another claim to fame designed to impress the public, but may well backfire if you are looking for a companion dog. The police often uses rather harsh training methods and therefore needs hard dogs that can survive that type of environment. Consequently, breeders specializing in police dogs tend to use insensitive (bozo type) bloodlines which do not make the best companion dogs. Breeders of "occasional" police dogs usually have given dogs to police departments free (as an "advertising" expense), because they could not be sold or had been returned as unmanageable by the original puppy buyer. Do visit local breeders, and find out for yourself what is available locally. But even more importantly, you will gain the experience of dealing with breeders, get used to their lingo and excuses, get to know different dogs and their behavior, temperament, disposition, sizes, colors, etc. If you are a good observer and listener, every visit will be a badly needed education, and the honest breeder will appreciate your efforts. Conformation or temperament? Conformation (color, shape, size) is easy to discuss and to form an opinion about. Any child can apprehend it and express a preference. Unfortunately, temperament (character, disposition, composure, moral and mental constitution peculiar to an individual, attitude of mind, hardness, willingness to work, protectiveness, trainability, courage, eagerness to please, calmness, loyalty) are invisible and impossible to judge at a glance. It takes time and depth of understanding to assess and consequently discuss a dog's temperament. Most breeders concentrate on conformation (show) features and are therefore seldom qualified to discuss a dog's temperament (as are veterinarians). Your solution to this problem: Interact with the dogs directly and simply get a gut feeling for their temperament. It's certainly more reliable then anything any human (breeder) can tell you. Dogs do not lie, only people do. Always insist on direct contact with the breeder's dogs and observe their behavior (temperament), then decide if that is what you like to live with. All the papers in the world can't beat a personal encounter. Do listen to all the claims of the breeder and then insist on seeing the proof, especially hip certificates and FCI recognized papers, trial and show participation and titles/ratings earned (don't bother with AKC CKC or similar registration papers, they're worthless anyway). Honest breeders will have all of those papers ready and be happy at the opportunity to show them to you. Do answer the breeders questions! You may not be aware of it, but you do need the breeder's expertise, now for getting the best possible match, and later for getting all kinds of advise on raising, training, dealing with health and obedience problems, etc. Any breeder not worried about the right match or whether you are sufficiently qualified to take one of his/her babies, is likely in it for the money, which is equal to running a puppy mill. Do your homework and sort out the contradictions. Different breeders can have different opinions on the same subject (and disregard anything one breeder has to say about another breeder, they are likely old enemies). You simply have to spend the time and dig up the truth on any contradictory claims wherever you can find the answer, library, internet, etc. After all, you are about to commit yourself to sharing a major part of your future time, money, emotions, feelings and well being with another living being. If it doesn't work out, it's your loss and emotional pain you will have to endure. An honest breeder has already invested an unbelievable amount of time, energy and money in his/her dogs, the least you must do, is sort out your priorities and know what you want to do with the puppy.